Carl brings 20 years of international technology, strategy, and business management experience, ranging from hands-on coding of high-volume, high-impact web/e-commerce platforms to building complex user-focused interactive web applications serving millions of users across the globe from offices based throughout the US, Asia, and Europe. He has a proven ability to develop and execute strategic technical and business plans and a solid background in compliance issues and IT governance. Carl is highly adept at optimizing high-volume production systems and building dynamic technology teams capable of delivering significant product improvements, revenue, and growth. 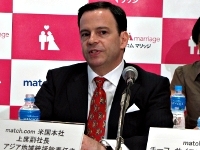 Prior to founding Solvitor, Carl served as the senior vice president and general manager for Match.com’s Asia Pacific business, and as International CTO of Match.com for its most significant growth period in history. Previously, Carl was a Senior IT consultant for the Center for Information Technology, National Institutes of Health, and senior director, software at The Motley Fool.